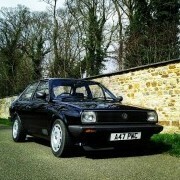 Whats the best way to make head lights brighter on my mk2f, Iv heard of a loom upgrade and some better bulbs and someone said just a HID kit will do, so what do people recommend. In this video I show how to remove and and replace Headlight Bulbs on a Volkswagen Polo, this is the same procedure on all Mk3 6N Polos, the only thing that might differ is the headlight fitting depending on age of your Polo. [mk2 derby] Headlights wreaking havoc! 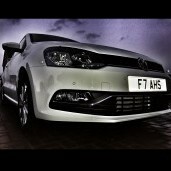 FK headlights Polo 6n2 is it good? Hi any idea why they have wedged these bags of foam in and around the headlights? The other side to access the low beam bulb has a black cap on it, as this side doesn't. The bags are labeled vw so not something someone else has done. Thanks. Hi guys, i'm just wondering if anyone has a diagram of the fuse box showing which fuses do what and also the same for the relays? basicly all my lights work APART from: when i switch my headlights on full only the passeger sides will illuminate (passenger front including sidelight and passenger back) drivers side normal beam, side light and back don't light up. when i flick the stalk for high beam (i.e flashing people) the passenger side will go off and the drivers side will come on?! checked earths and bulbs so far all good.... and if for example all fuses are fine what else would cause it? thanks, miles. Hey everyone! I'm new here, it's great to see large beautiful community of VW Polo fans! I have a big problem, I'll very grateful for a little help. The problem is this: I have 2013 VW Polo GTI with halogen headlights. Two weeks ago I bought OEM LED with Xenon headlights. (Part number: 6R1941031C 6R1941032C) Some people told me that may I have to replace the BCM (Central-Electric) module to "Highline" version for support the Bi-Xenon. 1. My current BCM's part number is "6R0937087K". Is it good to my Xenon headlights? 2. I saw some others "BCM modules" to buy in the internet but I don't know what I need. (part number: 6R7937087M and 6R0937088F and 7H0937090) Anyone know what can I do? Thanks! Hi guys, Been looking around the internet for god knows how long looking for some angel eyes. Can openly admit I'm a newbie when it comes to looking for them.Wondering if anyone can point me in the right direction of what I&#39;m looking for? I know that i need RHD's which is obvious, but I've been told that certain styles like FK powerlooks are LHD only? Bit of a ball ache cos I really like them. I've also been told to look on German Ebay for them too but i can't find anywhere if they're RHD or LHD. So i just presume they're LHD, being Europe and then I'm back to square one. All the ones on English Ebay look a bit toss too, and really expensive in comparison to German Ebay... Any help is really appreciated! Been trying to hunt for a set of clear headlights for my 6n. Think they look so much better than standards. Seem to be very expensive on ebay/online, don't know if I&#39;m look at the wrong thing or what, but any ideas where i can get my hands on a cheap set? Nice one.